• There are 147 spacious rooms and suites. • Restaurant, and a bar. • Outdoor pool (seasonal) and an indoor pool (seasonal), a garden, a terrace, a sun terrace, a tennis court, a sauna, a fitness center, a spa and wellness center, a massage, a hot tub, and a hammam. 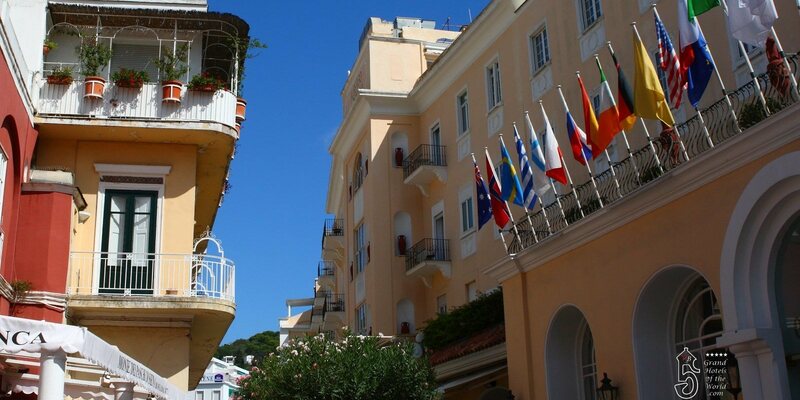 • Grand Hotel Quisisana is 2.5 km from the main port of the island, Marina Grande. La Piazzetta, the most famous square, is a 5-minute walk away. • 1850: The British doctor, George Sidney Clark opens a Sanatorium under the name « Quisisana ». • 1861: The Sanatorium becomes a Hotel Residence. • 1890 around: Acquisition of the Hotel by the ambitious young butler, Federico Serena.